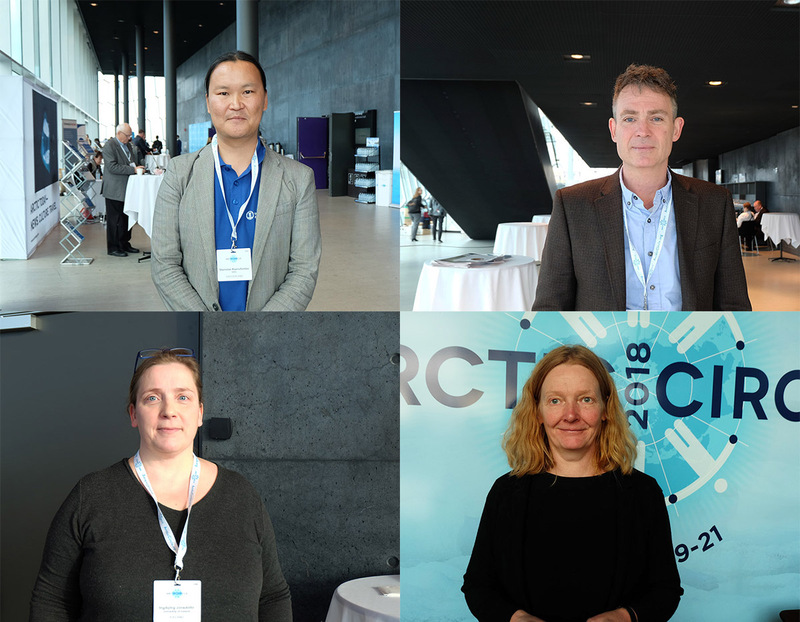 <h2>What keeps Arctic scientists awake at night?</h2><br /><p>Horizon caught up with eight experts in Reykjavik, Iceland, at the 6th edition of the Arctic Circle assembly, held between 19 and 21 October. The event brought together scientists, government officials, activists, business people, indigenous leaders and students to discuss a range of Arctic issues from climate change to sustainable development to security. We asked them what, in their views, are the most important challenges we face.</p> <p><strong>1. People who live in the Arctic risk losing their voice if we don’t cooperate internationally</strong></p> <p><strong>- <em>Dr Kirsi Latola, University of the Arctic, European Polar Board and University of Oulu, Finland </em></strong></p> <p>What worries me a lot are how (people in the Arctic will) get on with their everyday lives, when all these new pressures come from all around the world. It’s about climate change and globalisation. Very often the smaller voice gets pushed (down) under these bigger (economic) interests.</p> <p>The research (priorities) therefore have to come from people in the Arctic. There has to be a link to the real needs and problems that people face in the Arctic and they need to get their voice heard.</p> <p>What is essential is the co-production of knowledge, which means that researchers first meet communities, build trust, get to know them and they tell you what you should study. This is not happening as it should although (the issue) is more on the table.</p> <p>I think that (improving international scientific cooperation) is (also) the key to everything. By pooling resources and expertise you can gain much more (such as sharing data and minimising scientists’ footprint in remote communities).</p> <p><em>Dr Latola was involved in the </em><a href="https://www.eu-polarnet.eu/fileadmin/user_upload/www.eu-polarnet.eu/Events/White_Paper_Broschuere-ok.pdf" target="_blank" rel="noopener noreferrer"><em>EU-PolarNet white papers</em></a><em>,</em><em> which sought nearly 600 responses from people in the Arctic about their needs to shape research priorities.</em></p> <p><strong>2. Climate change is not gradual – significant changes can happen in just decades</strong></p> <p><strong>- <em>Prof. Marit-Solveig Seidenkrantz, Aarhus University, Denmark</em></strong></p> <p>What I worry most about is probably (Arctic) sea ice, as it has a major impact on the global heat distribution and ocean circulation. We don’t really know what the long-term factors are. As a geologist, I would say it’s very important to know what happened in the past to know whether the present changes are unprecedented. They likely are, but … unfortunately, we still have very little information on sea ice in the past.</p> <p>Temperature has generally been the focus, but it is more and more clear that other aspects of the climate system are just as important, or more so. Another thing that I think is very important in climate (studies) is&nbsp;precipitation, as it impacts the lives of many people.</p> <p>When it comes to Arctic and global climate tipping points, I think it’s become more and more clear to us that climate change is not actually gradual. Sometimes it seems gradual but, in most cases, the system reaches a point during the shift in climate where it moves from one state to another state fairly quickly. The geological records show that this change can happen within decades. And that is certainly scary, because it means that it is something that in principle can happen in our lifetimes.</p> <p><img class="@alignleft@" title="Clockwise from top left: Dr Kirsi Latola, Prof. Marit-Solveig Seidenkrantz, Dr Lise Lotte Sørensen and Dr Pelle Tejsner. 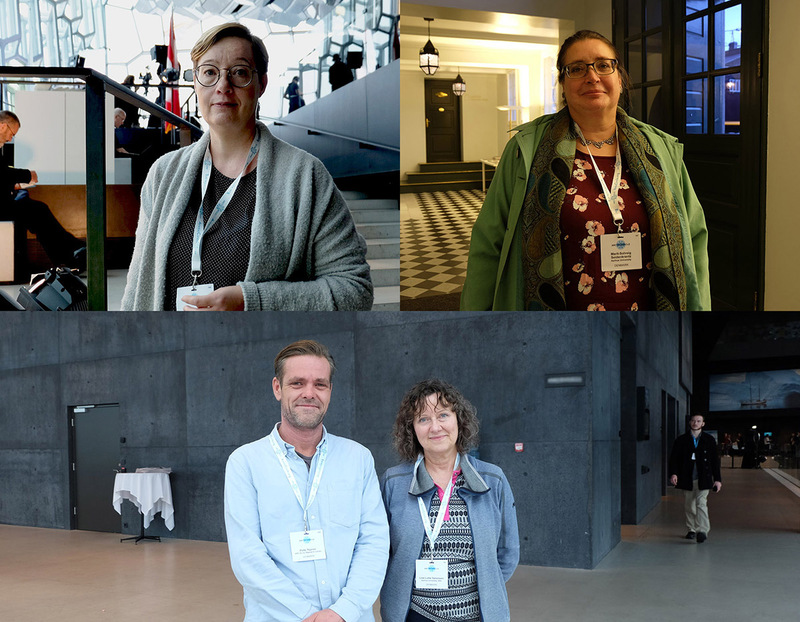 Image credit - Annette Ekin " src="https://horizon-media.s3-eu-west-1.amazonaws.com/s3fs-public/IMCEUpload/Arctic_researchers_1_sm_0.jpg" alt="Clockwise from top left: Dr Kirsi Latola, Prof. Marit-Solveig Seidenkrantz, Dr Lise Lotte Sørensen and Dr Pelle Tejsner. Image credit - Annette Ekin " width="1200" height="933" /></p> <p><strong>3. Unlike CO2, we have no sinks for methane emissions</strong></p> <p><em><strong>- Dr Lise Lotte Sørensen, </strong><strong>Arctic Research Centre, Aarhus University, Denmark</strong></em></p> <p>I measure the release or the uptake of greenhouse gases over natural surfaces in the Arctic. And methane emissions are a really important (issue) because methane is a stronger greenhouse gas than CO2.</p> <p>I think this is (an overlooked issue) as compared to CO2. Methane acts exactly in the same way as CO2. It captures, or you can say, absorbs, shortwave radiation which comes from solar radiation and releases it again as heat – long wave radiation. And that's what CO2 does. Methane is just a stronger release of heat.</p> <p>As the soils in the high Arctic are heating up and the permafrost is disappearing, methane is being released.</p> <p>It’s possible to create sinks for CO2 (natural environments that can absorb the gas), but for methane, the sink is OH (hydroxyl) radicals in the atmosphere which is not something we create – well, we create it by polluting. Trees, water, take up CO2, but they don’t take up methane. We don’t have any methane sinks, so you have to turn it into something else, such as CO2.&nbsp;&nbsp;</p> <p><strong>4. There are high rates of suicide among local populations</strong></p> <p><em><strong>- Dr Pelle Tejsner, </strong><strong>Arctic Research Centre, Aarhus University, Denmark</strong></em></p> <p>I keep returning to the same place, Qeqertarsuaq, on Disko Island in Greenland and I’ve done that for ten years.</p> <p>My fieldwork, my PhD, was on how local hunters and fishermen (Greenlandic Inuit) adapt to disappearing ice because they rely on ice a lot in the wintertime to go hunting for seals, whales, and subsistence. Ten, 20 years ago, a good ice season lasted maybe three or four months. Now, in the bad years, it’s one or two weeks or just days.</p> <p>A tragic development in Qeqertarsuaq (and other Arctic communities) is the high rates of suicide. It's an overlooked area. I am still working on an explanation, but we can tell from talking to people that young men (in particular) and women are trapped between the old hunting way of life and the very rapid transitions that have taken place. We are losing a big part of the next generation to this phenomenon.</p> <p>If you want to do research in the Arctic, when you formulate a research project I think it’s important to contact local communities and to get them involved from the beginning. It’s still two parallel worlds in a way – there’s the science being done in the Arctic and then there’s the reality of living in the Arctic. The two of them need to of find ways of linking up much more appropriately in the future.</p> <p><strong>5. Indigenous activities are constrained by ill-thought-out regulations</strong></p> <p><em><strong>- Dr Stanislav Ksenofontov,</strong> <strong>International Arctic Science Committee</strong></em></p> <p>(In my PhD) I looked at the social-ecological systems in Arctic Yakutia in northeast Siberia, the biggest region in Russia. This region has a lot of indigenous communities such as the Evenk, Eveny, and Sakha. What I was doing is (looking at) how these communities are affected by climate change and by social-political transformations during and after the Soviet regime.</p> <p>Indigenous communities are resilient and adaptive thanks to indigenous knowledge. They always consume sustainably. They know when the fish spawn or the reindeer and fish migrate. But they are (now) constrained by regulations on fishing or hunting which were introduced without considering (local) knowledge. Since they are highly dependent on natural resources, food security is challenged, traditional practices are affected.</p> <p>I think the most important issue in Arctic science, and in general, is considering indigenous knowledge in decision-making (processes) and integrating it into science. Scientific records might differ from the indigenous knowledge, and it is very important to include it. It should be considered as credible.</p> <p><strong>6. We don’t know enough about how different climate change elements interact</strong></p> <p><em><strong>- Dr Simon Walmsley, World Wildlife Fund </strong></em></p> <p>In terms of the science, one of the issues that I think a lot about is the synergistic effects, the cumulative impacts. For instance, if you have rising temperatures how does that impact with acidification? I don’t think we know yet. This could affect things a whole lot more. I often think that the urgency’s there on climate change but there’s more that we don’t know about. Therefore we should deal with all these things on a much more precautionary level, which governments aren’t doing yet.</p> <p>If you look at the nationally derived contributions under Paris (the <a href="https://unfccc.int/process-and-meetings/the-paris-agreement/the-paris-agreement" target="_blank" rel="noopener noreferrer">2015 Paris Agreement</a> on climate change), even if they’re met, we’d still fall short of the 1.5˚C scenario (for limiting global warming) which for the Arctic is essential because it means different levels of temperature, higher temperature.</p> <p>I think we have to just realise that we’re now adapting for a changing Arctic, but not let go of the climate debate and what’s happening elsewhere, because, you know, what happens in the Arctic impacts what happens to the rest of the world. I think this is the continuing message and the point is to wake up to that. Sea-level rise, effects on climate, temperature, it’s all kind of Polar-Arctic based.</p> <p><img class="@alignleft@" title="Clockwise from top left: Dr Stanislav Ksenofontov, Dr Simon Walmsley, Marianne Kroglund and Ingibjörg Jónsdóttir. Image credit - Annette Ekin" src="https://horizon-media.s3-eu-west-1.amazonaws.com/s3fs-public/IMCEUpload/Arctic_researchers_2_sm.jpg" alt="Clockwise from top left: Dr Stanislav Ksenofontov, Dr Simon Walmsley, Marianne Kroglund and Ingibjörg Jónsdóttir. Image credit - Annette Ekin" width="1200" height="933" /></p> <p><strong>7. We’re entering an era where it’s difficult to predict consequences</strong></p> <p><strong>- <em>Ingibjörg Jónsdóttir, University of Iceland</em></strong></p> <p>I’ve been looking at farmers’ diaries, historical records from people going into the Arctic a few hundred years ago and data from the meteorological institutes, established in the mid-19<sup>th</sup> century. Then in the last 40 years there has been very good satellite coverage of the Arctic.&nbsp;</p> <p>It's very important to have the different data sources overlap for comparison so that you can be pretty sure that what you're looking at is a real change rather than just more accurate observations with time. And by looking at the sea ice history it’s becoming quite clear that the sea ice extent has been dramatically decreasing.</p> <p>One of the reasons why sea ice is so important is because it has been covering such a huge area and it changes the radiation budget. So it's a kind of downward spiral once it disappears because then instead of having the white surface that is reflecting most of the sun’s energy, it gets absorbed in the ocean and enhances warming.</p> <p>We’re seeing changes in the last few years that we haven't seen before – changes in fisheries, weather and climate, livelihoods, not just in Iceland but in different places. It’s also this concern that we are going into an era (where) we’re having a very hard time predicting what the real consequences will be.</p> <p><strong>8. Climate action isn’t moving quickly enough</strong></p> <p><em><strong>- Marianne Kroglund, Arctic Monitoring and Assessment Programme, Arctic Council</strong></em></p> <p>The changes that we see in the Arctic have global implications. The longer we delay mitigation actions, the higher risk we will see for humans, natural and managed ecosystems.</p> <p>What I think will be very important now is to start looking into the solution space and realise that there are available actions that will lower future risks. But we need to get to know them and to get familiar with the various solutions so that we dare take the necessary steps in that direction.</p> <p>I think the push needs to come from governments. Making that transition into a low-emission and a climate-resilient economy is challenging. And I really think we need to accept that there will be losers among the more energy intensive economies or industries.</p> <p>The temperature change in the Arctic is predicted to be four to five degrees warmer toward 2050. That is irrespective of emission pathway because there's so much heat and energy stored in the system. So the effect of emission cuts today, we can only see that after 2050. In the short term, we therefore need to adapt because this will have huge implications for people, resources and ecosystems.</p> <p><em>As told to Annette Ekin. I</em><em>f you liked this article, please consider sharing it on social media.</em></p> <br /> <img src=”http://www.google-analytics.com/collect?v=1&tid=UA-40077089-1&cid=what-keeps-arctic-scientists-awake-at-night&t=event&ec=republish&ea=read&el=what-keeps-arctic-scientists-awake-at-night&cs=republish&cm=republish&cn=republish&cm1=1" /> This post <a href="https://horizon-magazine.eu/article/what-keeps-arctic-scientists-awake-night.html">What keeps Arctic scientists awake at night?</a> was originally published on <a href="https://horizon-magazine.eu/">Horizon: the EU Research &amp; Innovation magazine | European Commission</a>. Horizon caught up with eight experts in Reykjavik, Iceland, at the 6th edition of the Arctic Circle assembly, held between 19 and 21 October. The event brought together scientists, government officials, activists, business people, indigenous leaders and students to discuss a range of Arctic issues from climate change to sustainable development to security. We asked them what, in their views, are the most important challenges we face. What worries me a lot are how (people in the Arctic will) get on with their everyday lives, when all these new pressures come from all around the world. It’s about climate change and globalisation. Very often the smaller voice gets pushed (down) under these bigger (economic) interests. The research (priorities) therefore have to come from people in the Arctic. There has to be a link to the real needs and problems that people face in the Arctic and they need to get their voice heard. What is essential is the co-production of knowledge, which means that researchers first meet communities, build trust, get to know them and they tell you what you should study. This is not happening as it should although (the issue) is more on the table. I think that (improving international scientific cooperation) is (also) the key to everything. By pooling resources and expertise you can gain much more (such as sharing data and minimising scientists’ footprint in remote communities). Dr Latola was involved in the EU-PolarNet white papers, which sought nearly 600 responses from people in the Arctic about their needs to shape research priorities. What I worry most about is probably (Arctic) sea ice, as it has a major impact on the global heat distribution and ocean circulation. We don’t really know what the long-term factors are. As a geologist, I would say it’s very important to know what happened in the past to know whether the present changes are unprecedented. They likely are, but … unfortunately, we still have very little information on sea ice in the past. Temperature has generally been the focus, but it is more and more clear that other aspects of the climate system are just as important, or more so. Another thing that I think is very important in climate (studies) is precipitation, as it impacts the lives of many people. When it comes to Arctic and global climate tipping points, I think it’s become more and more clear to us that climate change is not actually gradual. Sometimes it seems gradual but, in most cases, the system reaches a point during the shift in climate where it moves from one state to another state fairly quickly. The geological records show that this change can happen within decades. And that is certainly scary, because it means that it is something that in principle can happen in our lifetimes. I measure the release or the uptake of greenhouse gases over natural surfaces in the Arctic. And methane emissions are a really important (issue) because methane is a stronger greenhouse gas than CO2. I think this is (an overlooked issue) as compared to CO2. Methane acts exactly in the same way as CO2. It captures, or you can say, absorbs, shortwave radiation which comes from solar radiation and releases it again as heat – long wave radiation. And that's what CO2 does. Methane is just a stronger release of heat. As the soils in the high Arctic are heating up and the permafrost is disappearing, methane is being released. It’s possible to create sinks for CO2 (natural environments that can absorb the gas), but for methane, the sink is OH (hydroxyl) radicals in the atmosphere which is not something we create – well, we create it by polluting. Trees, water, take up CO2, but they don’t take up methane. We don’t have any methane sinks, so you have to turn it into something else, such as CO2. I keep returning to the same place, Qeqertarsuaq, on Disko Island in Greenland and I’ve done that for ten years. My fieldwork, my PhD, was on how local hunters and fishermen (Greenlandic Inuit) adapt to disappearing ice because they rely on ice a lot in the wintertime to go hunting for seals, whales, and subsistence. Ten, 20 years ago, a good ice season lasted maybe three or four months. Now, in the bad years, it’s one or two weeks or just days. A tragic development in Qeqertarsuaq (and other Arctic communities) is the high rates of suicide. It's an overlooked area. I am still working on an explanation, but we can tell from talking to people that young men (in particular) and women are trapped between the old hunting way of life and the very rapid transitions that have taken place. We are losing a big part of the next generation to this phenomenon. If you want to do research in the Arctic, when you formulate a research project I think it’s important to contact local communities and to get them involved from the beginning. It’s still two parallel worlds in a way – there’s the science being done in the Arctic and then there’s the reality of living in the Arctic. The two of them need to of find ways of linking up much more appropriately in the future. (In my PhD) I looked at the social-ecological systems in Arctic Yakutia in northeast Siberia, the biggest region in Russia. This region has a lot of indigenous communities such as the Evenk, Eveny, and Sakha. What I was doing is (looking at) how these communities are affected by climate change and by social-political transformations during and after the Soviet regime. Indigenous communities are resilient and adaptive thanks to indigenous knowledge. They always consume sustainably. They know when the fish spawn or the reindeer and fish migrate. But they are (now) constrained by regulations on fishing or hunting which were introduced without considering (local) knowledge. Since they are highly dependent on natural resources, food security is challenged, traditional practices are affected. I think the most important issue in Arctic science, and in general, is considering indigenous knowledge in decision-making (processes) and integrating it into science. Scientific records might differ from the indigenous knowledge, and it is very important to include it. It should be considered as credible. In terms of the science, one of the issues that I think a lot about is the synergistic effects, the cumulative impacts. For instance, if you have rising temperatures how does that impact with acidification? I don’t think we know yet. This could affect things a whole lot more. I often think that the urgency’s there on climate change but there’s more that we don’t know about. Therefore we should deal with all these things on a much more precautionary level, which governments aren’t doing yet. If you look at the nationally derived contributions under Paris (the 2015 Paris Agreement on climate change), even if they’re met, we’d still fall short of the 1.5˚C scenario (for limiting global warming) which for the Arctic is essential because it means different levels of temperature, higher temperature. I think we have to just realise that we’re now adapting for a changing Arctic, but not let go of the climate debate and what’s happening elsewhere, because, you know, what happens in the Arctic impacts what happens to the rest of the world. I think this is the continuing message and the point is to wake up to that. Sea-level rise, effects on climate, temperature, it’s all kind of Polar-Arctic based. I’ve been looking at farmers’ diaries, historical records from people going into the Arctic a few hundred years ago and data from the meteorological institutes, established in the mid-19th century. Then in the last 40 years there has been very good satellite coverage of the Arctic. It's very important to have the different data sources overlap for comparison so that you can be pretty sure that what you're looking at is a real change rather than just more accurate observations with time. And by looking at the sea ice history it’s becoming quite clear that the sea ice extent has been dramatically decreasing. One of the reasons why sea ice is so important is because it has been covering such a huge area and it changes the radiation budget. So it's a kind of downward spiral once it disappears because then instead of having the white surface that is reflecting most of the sun’s energy, it gets absorbed in the ocean and enhances warming. We’re seeing changes in the last few years that we haven't seen before – changes in fisheries, weather and climate, livelihoods, not just in Iceland but in different places. It’s also this concern that we are going into an era (where) we’re having a very hard time predicting what the real consequences will be. 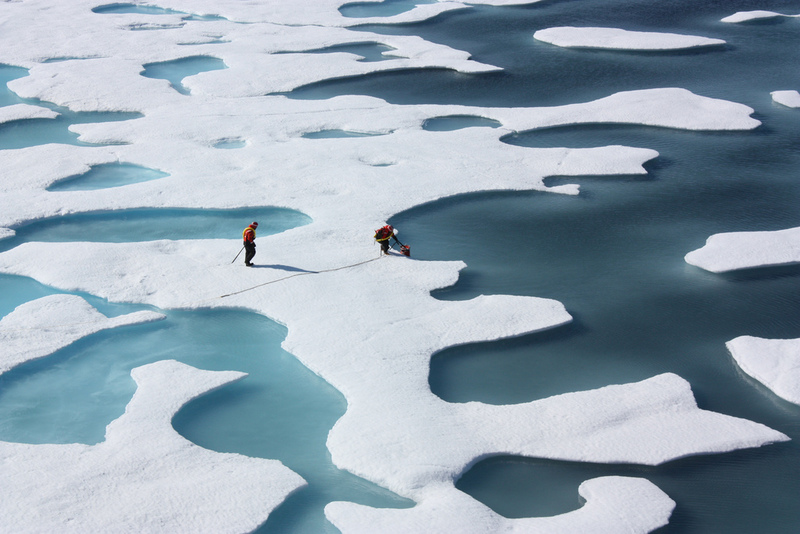 The changes that we see in the Arctic have global implications. The longer we delay mitigation actions, the higher risk we will see for humans, natural and managed ecosystems. What I think will be very important now is to start looking into the solution space and realise that there are available actions that will lower future risks. But we need to get to know them and to get familiar with the various solutions so that we dare take the necessary steps in that direction. I think the push needs to come from governments. Making that transition into a low-emission and a climate-resilient economy is challenging. And I really think we need to accept that there will be losers among the more energy intensive economies or industries. The temperature change in the Arctic is predicted to be four to five degrees warmer toward 2050. That is irrespective of emission pathway because there's so much heat and energy stored in the system. So the effect of emission cuts today, we can only see that after 2050. In the short term, we therefore need to adapt because this will have huge implications for people, resources and ecosystems. As told to Annette Ekin. If you liked this article, please consider sharing it on social media.